﻿You may already be familiar with Infrared Thermal Imaging, -OR- you may be wondering "What is Thermal Imaging" -OR- "What can Thermal Imaging do for Me?" WELL, in either case, You Came to the Right Place. 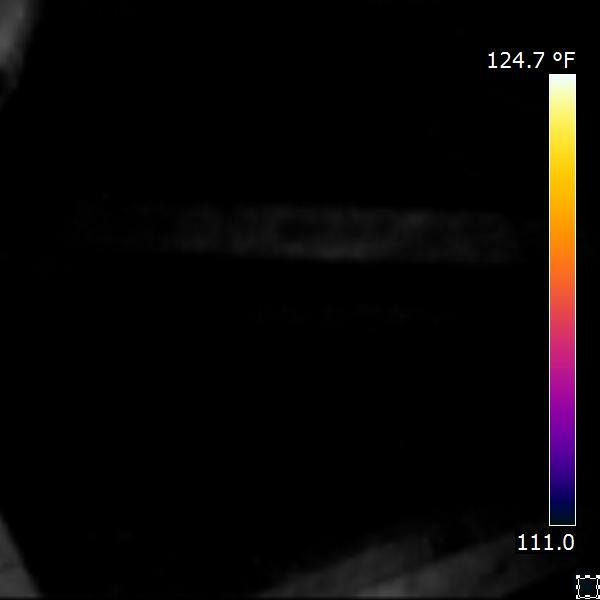 Here is a OVERVIEW of INFRARED Thermal Imaging, with my $5,000 Flir B-40 Infrared camera. 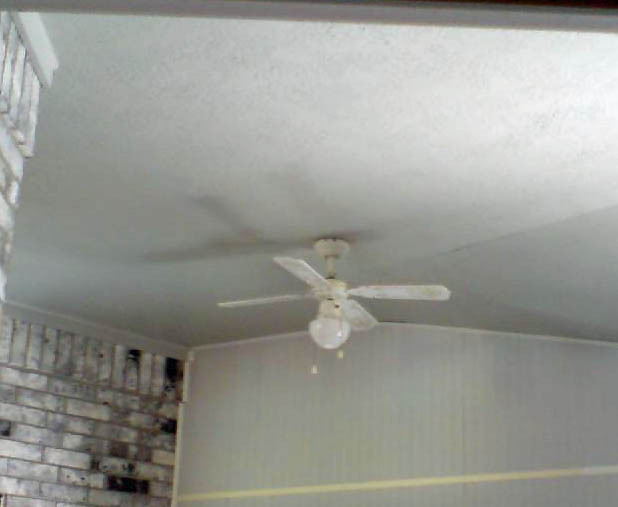 Using the Thermal Imaging camera, it is VERY EVIDENT that the ceiling of the room has Absolutely 'NO' INSULATION!!! 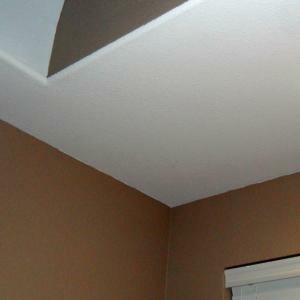 Uninsulated ceilings like this can go undetected for YEARS, completely unknown to the homeowner. 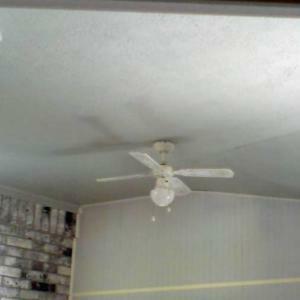 Areas like this DRASTICALLY INCREASE Utility Bills and put unnecessary strain and wear on Cooling and Heating Equipment. Water Heater Leak slightly visible at base, but 'appears' to be Very Small, just on the base. 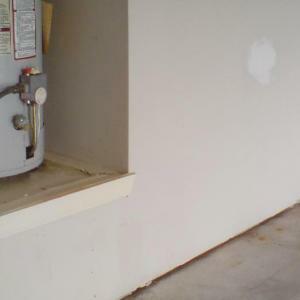 Without the use of INFRARED Thermal Imaging, the apparent 'very slight' water heater leak would likely NOT have been identified or analyzed properly. 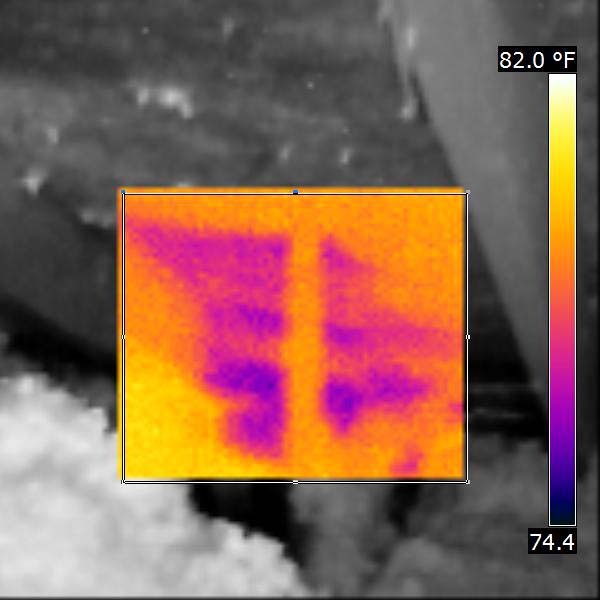 Infrared Thermal Imagng indicated that the water had saturated the sill plate and 'wicked back upward' into the adjacent drywall. 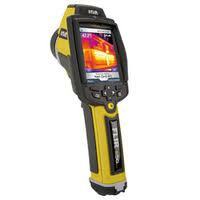 Analysys with the Infrared Camera was extremely beneficial and Revealed the Extent of the Issue to the Purchaser. At the back door, there was a 'tiny' amount of discoloration on the baseboards on both sides. 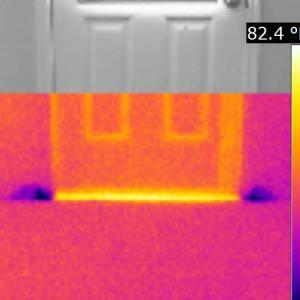 Using the Infrared Thermal Imaging camera, it was Very Apparent that the baseboards were 'currently' wet. 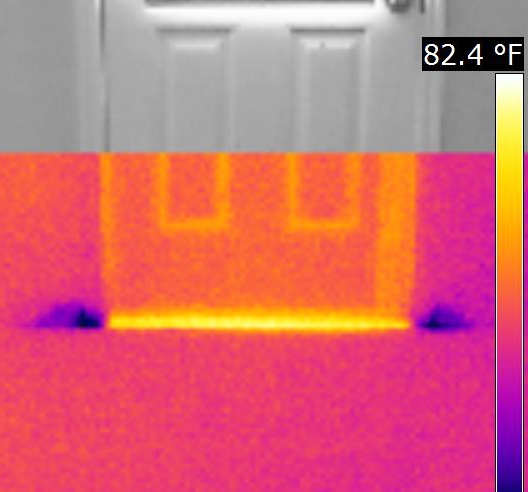 Without the use of INFRARED Thermal Imaging, it wold have been very easy to assume that the slight discoloration on the baseboards was old. 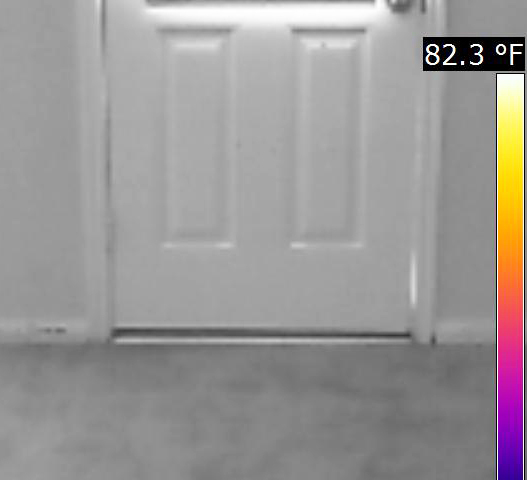 However, Infrared Thermal Imagng revealed that the baseboards on both sides of the door were 'currently wet', Even Though it had Not Rained for 5-Days !!! Leaks in Roof Decking can occur at Numerous Locations, even on roofs with recently replaced shingles. 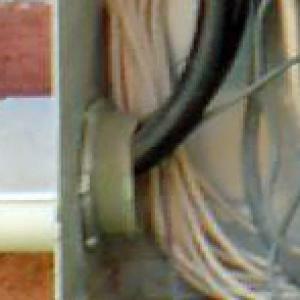 The leak pictured above was due to a cracked robber 'boot' around the PVC above the roofline. 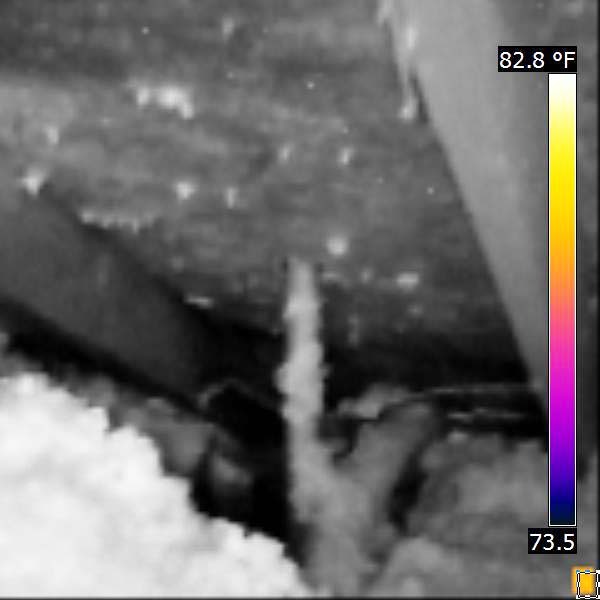 (These issues can go undetected for years, while allowing moisture and water into interior walls and promoting wood rot, decay, mold and other health related issues) A home inspector with an infrared camera can detect issues like this during your home inspection. NOTE: The area pictured above was visible, but not accessible. Roof Decking deterioration was evident, however it was not evident whether there was no roof leak, a previous leak or a current leak. 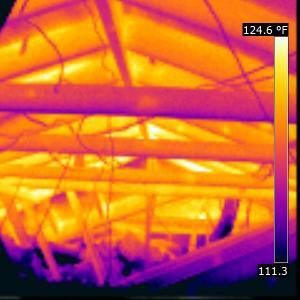 Usage of the Infrated Thermal Imaging Camera revealed that the roof leak was indeed 'current'. 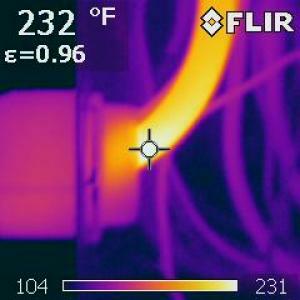 Infrared Thermal Imaging is a critical home inspection tool. The Main Service Lead pictured above was ACTUALLY 232-DEGREES, hanging on the side of the house. 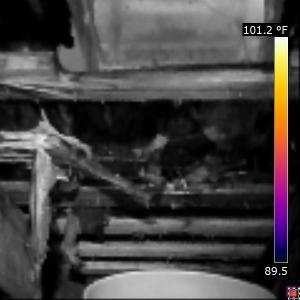 (THIS IS HOT ENOUGH TO 'BOIL WATER', right on the house) NOTE: This EXTREMELY DANGEROUS condition would have very possibly gone completely undetected without Infrared Thermal Imaging. The photos above illustrate 'just part' of the Immense Power of INFRARED Thermal Imaging. It is 'extremely sensitive', can see 'heat and cool' differences anywhere, anytime and under almost any conditions. It can use warm and cool variations to spot insulation deficiencies, moisture intrusion, thermal envelope breaches and leaks in ductdork. Is it 'WET' ..OR.. 'NOT WET' ?? In this example, I was performing an inspection on a 4,900 sq. ft. $1,500,000 House. My client requested 'all' opf my Infrared Thermal Imaging services. 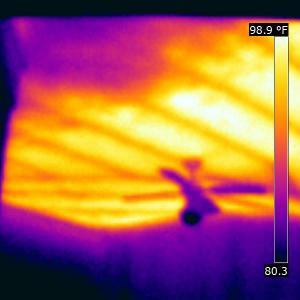 Everything was going smoothly until, in the huge master bath, the Infrared Camera detected this massive potential problem area. Sure looks wet doesn't it !! Look, you can even see that water has run down the corner studs. Or has it?? Since the area in question was directly at the side of the house and in a drop-soffit or 'furr down' (dropped ceiling) it was impossible to access from the attic. I am confident that 'most' amateur or poorly trained 'so-called' Thermographers would have written it up as moisture intrusion, most likely from the roof. Most likely, they would have recommended that the client contract (pay) for a Roofing Specialist or Contractor to forther analyze the situation prior to the purchase. BUT.... 'Is it Wet' OR 'Is it Not Wet' ??? This is where being a 'Quality' Thermograpter comes in. 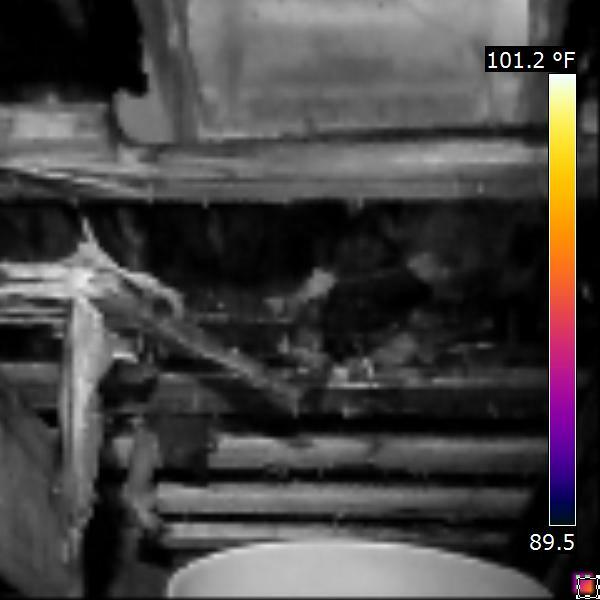 An infrared camera 'cannot' see moisture. What the camera 'does do' is scan a wall or any other object and detect 'variations in temperature' on the very surface. Any area which is even slightly damp will almost always be a 'tiny bit cooler' than the dryer areas adjacent to it. 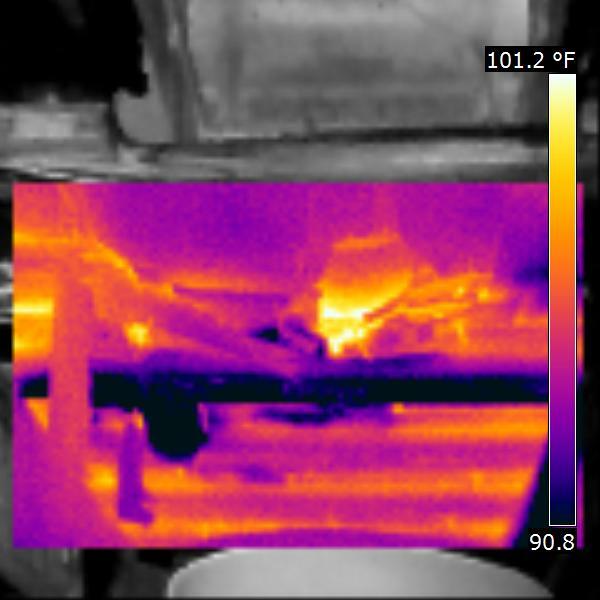 The infrared camera translates the cooler areas into a more purple/blue image as opposed to the warmer orange/yellow areas. **OK, here comes the spoiler.... It is 'not' wet... It is as dry as a bone... BUT, 'why' does it look so wet and completely terrible?? ﻿ Well, as you remember, the slightly cooler areas on the surface appear purple/blue in the image. This inspection was performed in the early spring on a very cool day. And guess what, area which 'appears' wet is actually 'just cooler'.... It is 'slightly cooler' because there was 'less insulation' in that very small area. The vertical purple/blue corner studs which also 'appear' wet are also just cooler, having retained more of the coolness from the prior night (since this is an exterior wall). 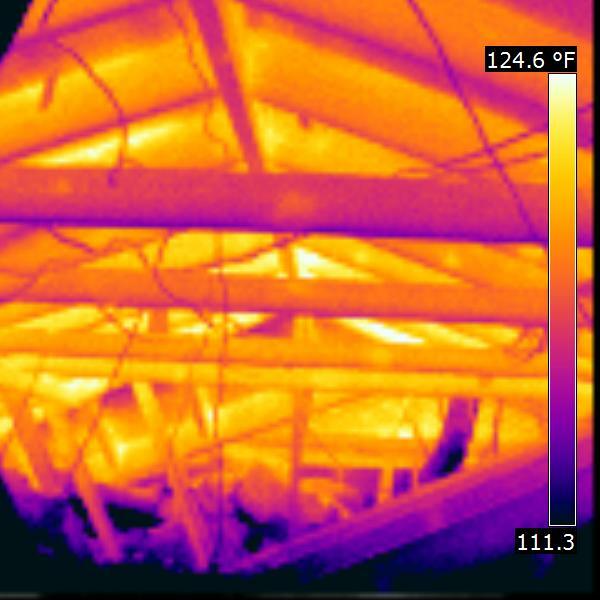 If you hire a low-quality Thermographer, or use a home inspector who (throws it in for free...) you take a much greater risk of getting a haphazard, incomplete and plssibly incorrect analysis. There is a risk of either 'completely missing issues' OR mis-analysis and being referred to other parties for additional, unnecessary costly followup. If I can assist you woth your Infrared Thermal Imaging needs, please CALL ME.